Runoffs are never good and never were. Especially for the candidate who provokes greater rejection. The balloting makes clear not what the voter wishes but what he doesn’t want. Why did Alan win, without being destroyed by the bad memories left by his previous presidency? He won because most Peruvians regarded Humala a radical in the mold of Venezuelan President Hugo Chávez who might drag the country toward the abyss of the so-called “21st-Century socialism,” a chaotic way to impoverish society, strain human relations and poison international ties. In those elections, Alan García very skillfully campaigned against Hugo Chávez more than against Humala, Chávez’s man in Lima, and achieved victory. Humala learned the lesson, and in this campaign he presents himself as a disciple of President Luiz Inácio Lula da Silva rather than Chávez. He’s no longer a carnivorous socialist, he says. He insists that he has become tame and vegetarian. But the Peruvians, if we judge by the electoral trends, don’t believe him. When did that transformation occur in Humala’s heart and conscience? Where are the express condemnations of the violations of democratic standards and human rights that happen in Cuba, Venezuela, Bolivia, Nicaragua and Ecuador — countries that, for now, shape the map of 21st-Century socialism? 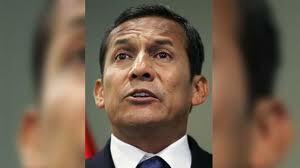 The Peruvians fear, not without reason, that Humala’s moderation is a disguise. They think that he is the same radical and dangerous wolf he always was, this time clad in a lamb’s wool coat that’s too small for him. His current discourse is not what he really believes in but what has been suggested to him by the voting experts who advise him. They are making him sing a kind of dishonest ideological karaoke. Once installed in Pizarro Palace, suspicious Peruvians presume, Humala will begin the dismantling of the democratic system, the cutting back of freedoms and the substitution of the economic model of market and private property by something similar to Chávez’s model. The purpose is to recruit an army of grateful stomachs, for which he would rely on the large economic reserves left by Alan García’s outstanding second term, and the help of Venezuelan petrodollars, now that the barrel of crude exceeds $100. That’s what happened in 2006: Millions of Peruvians who had sworn never to back the APRA pinched their noses and voted for García, to keep Chávez from imposing his will in Peru. In the end, it was a good decision and García governed effectively. It is very likely that the same will happen this time.